Linn County Parks and Recreation is now managing Cascadia State Park. The reservation system is being transferred to Linn County. OPRD is no longer taking reservations for group facilities. Linn County will begin taking reservations on May 13, 2019 at 541-967-3917. For more information, see our Frequently Asked Questions. The first thing that strikes you when you arrive at Cascadia is the tranquility. While the park is quite large, there are barely two dozen first-come first-served campsites, making this a great spot for an intimate getaway. The campground, group tent sites, and east picnic area are open May 1-September 30. The west picnic area is open year-round. A pair of hiking trails give you a chance to explore the area. 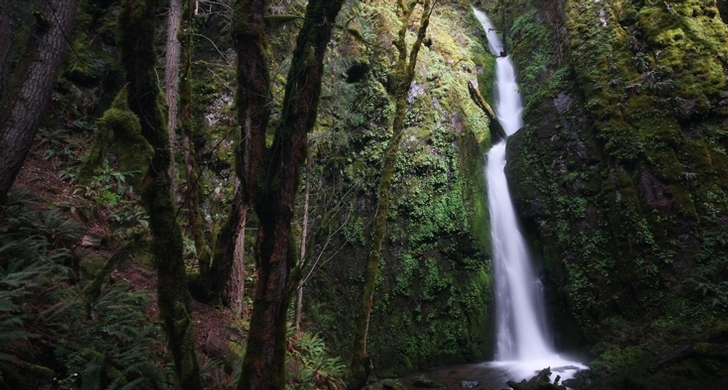 A three-quarter mile trail leads to the spectacular Soda Creek Falls. 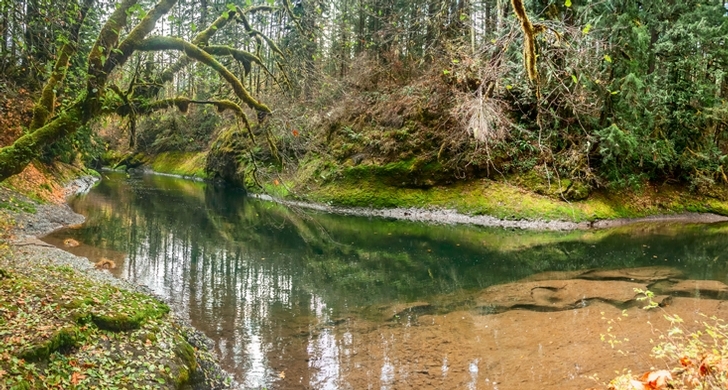 A newer trail ushers you through historic Douglas-fir trees along the South Santiam River (a good place to fish and swim). 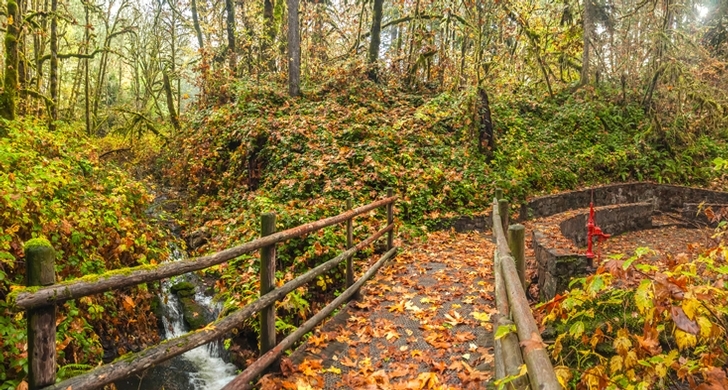 Ruts from the historic Santiam Wagon Road are visible in the park (the trail was used as a military route in the 1800's).